Rev. Msgr. John M. Smith, the former bishop of the Roman Catholic Diocese of Trenton, has died. Born June 23, 1935, in Orange, Smith led the diocese for 13 years before retiring in 2010. The announcement of Smith’s death was made by Bishop David M. O’Connell, his successor. Smith died in Morris Hall Meadows, Lawrenceville, after “a long illness,” a statement from the diocese said. He was 83 years old. Smith is survived by his two brothers. According to diocesan spokeswoman Rayanne Bennett, he entered Immaculate Conception Seminary at Seton Hall University in South Orange in 1955 and was ordained a priest of the Archdiocese of Newark on May 27, 1961. A graduate of The Catholic University of America in Washington, D.C., Smith obtained a doctorate in Canon Law – the Roman Catholic equivalent of a juris doctor degree – in 1966. In the Archdiocese of Newark, Smith held several positions, among them Assistant Chancellor, Tribunal official, parish priest, Director of the Cursillo Movement and Dean of Bergen County. In 1971, he was named a Monsignor by then-Pope St. Paul VI. In 1982, Smith was appointed to the faculty of the Pontifical North American College in Rome where he served until his return to Newark in 1986. He was appointed Pastor of St. Mary Parish, Dumont, and, later, as the Archdiocese’s Vicar General and Moderator of the Curia. On Dec. 1, 1987, he was named Auxiliary Bishop of Newark, and was consecrated Jan. 25, 1988. 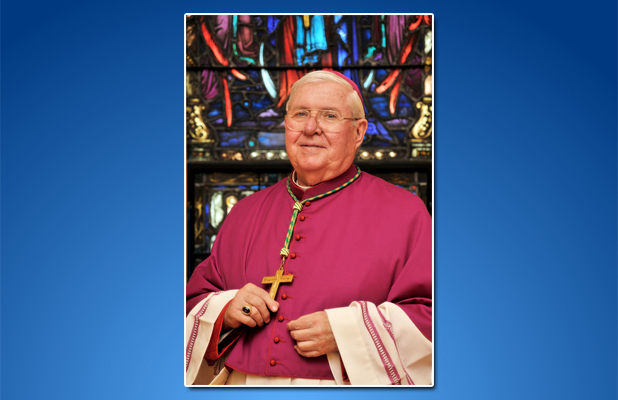 Bishop Smith was appointed Bishop of the Diocese of Pensacola-Tallahassee on June 25, 1991. He returned to New Jersey as Coadjutor Bishop of the Diocese of Trenton in 1995 where he succeeded the late Bishop John C. Reiss In 1997. Smith’s body will be received in St. Mary of the Assumption Cathedral in Trenton on Friday, Jan. 25 at 3 p.m. and will lie in repose until the celebration of the Mass of Jesus Christ the High Priest at 7 p.m. A Mass of Christian Burial will be celebrated Saturday, Jan. 26 at 11 a.m. Smith will be entombed in the Mausoleum of St. Mary Cemetery in Trenton following the Mass.